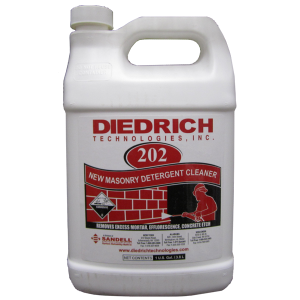 Mortar – Janell Concrete and Masonry Equipment, Inc.
Diedrich 202 New Masonry Detergent is a combination of organic and inorganic acids, wetting agents and inhibitors for use in the final clean up of new masonry. 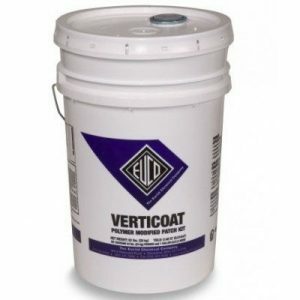 It efficiently cleans off residual mortar, day to day soiling, and staining that occurs on job sites. It will work on brick, stone, tile, exposed aggregate and several varieties of new masonry construction not susceptible to metallic staining. 202’s wetting agent and inhibitors permit it to cling to masonry surfaces for an extended dwell period.